Nothing says “I love you” like red roses. Red symbolizes love, beauty, courage, respect, romantic love, and even congratulations. While many send red roses on Valentine’s Day, surprise your Valentine this year with white roses that symbolize true love, purity, innocence, reverence, humility, youthfulness, and charm. Perfect for a friend that you want to honor on Valentine’s Day, pink roses show appreciation, grace, perfect happiness, admiration, gratefulness, and gentleness. If you are ready to say, “Let’s get together,” peach roses are the ones to choose as the rose color symbolizes intimacy. All of my information comes from personal experience. I’m sure all succulents propagate differently and plants in different climates and environments require different care. This is what has worked for me and I hope it works for you! These days, we’ve moved away from the goat’s horn and the modern day cornucopia is typically made out of woven wicker. Often florists place fall colored flowers inside, but our favorite stuffing is, you guessed it, food with the flowers. Our Thanksgiving table wouldn’t be complete without a bountiful cornucopia bursting with fresh fruit, crunchy nuts and of course, a little chocolate. Like so many of you lovely readers, I think of flowers as gorgeous little gems. I often identify my favorite style of floral design as “pavé”-style construction. In this week’s post, I wanted to share some prime examples of this compact and abundant, “flower-on-flower” look and describe some of its most valuable attributes. Image above: Garden roses in sweet peach and cream, including my peach garden rose obsession, “Juliet.” You might notice that this arrangement of garden roses doesn’t include greens or filler flowers. There is a purity to this design, yet the variety of colors within the soft spectrum and the range of rose types and shapes creates texture and movement. In this style, the technique is very accessible — simply clean the flowers of all greenery and cut them short so that the “head” of the blooms sit just above the “neck” of the vase. Image above: An array of pavé-style arrangements viewed from above. These fresh green, purple and white arrangements are primarily single-flower, monochromatic arrangements made modern and sophisticated with a pavé design. Flowers above include roses, hydrangea, viburnum, ranunculus, hyacinth and sweat peas. Image above: A “creamsicle” spectrum of carnations in pavé style. YES, EVEN CARNATIONS. I am a champion of the simple, fragrant and affordable carnation. In my view, the pavé style is never more effective than when used to turn an oft-overlooked “wallflower” into a sensation. Image above: A riot of hot colors create a fabulous landscape. This arrangement includes ranunculus, parrot tulips, celosia, cabbage roses, hyacinth and a whimsical touch of jasmine. Don’t you want to take a bite out of these flowers? The pavé style allows you to truly appreciate and investigate the incredible blooms on the flowers in this arrangement. Let flowers like this speak (or scream!) for themselves by cutting them short and arranging them in this chic fashion. Spring Is Here Again – Early! We are thinking of Easter Flowers and St Paddys Flowers and Mothers Day Flowers. We might be thinking of having some delivered anywhere close to Des moines, Iowa. Here is where you remember the The Wild Orchid and the wonderful designs they deliver, even after hours. The wild orchid uses flowers over greenery to make our deigns “pop out” like they always do. It is cheaper to use greens instead of flowers to make a bouquet fuller; cheaper in any number of ways. We do not do such things. Our flowers look full because they are healthy and fresh. Our bouquets see prettier because they are design to maximize their beauty and charm. Our gifts and chocolates are of the very best available. 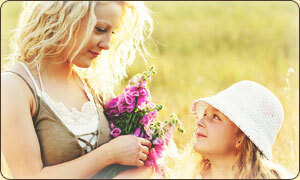 We love spring..the sweet air, the warming winds and the the beginning of a new cycle. Stop and send the roses, friends…it makes Spring just that more memorable. Go outside and feel the spring sun along with the cool breeze on your skin. See the flowers and hope they live through the next freeze. They have seen many many springs so maybe they will not be fooled this time. We did a wedding for someone close and it was so wonderful. The Flowers just made the day even more special. We wanted to share these pictures with you so you can see what we offer. We always go all the way for weddings. That day is too important for so many people for anything less than perfect.